Hot sticky Florida. It's so humid you feel like you can't breath sometimes. Then you get used to it. Used to the sweat on your back, used to the sun shining all day, everyday. Used to the smell of damp earth, and swamp lands. Used to the critters. Creepy crawlies. You don't, however, get used to the alligators. No. Not with their huge mouths full of sharp teeth and their surprising swiftness. Not when they do the death roll with their prey. 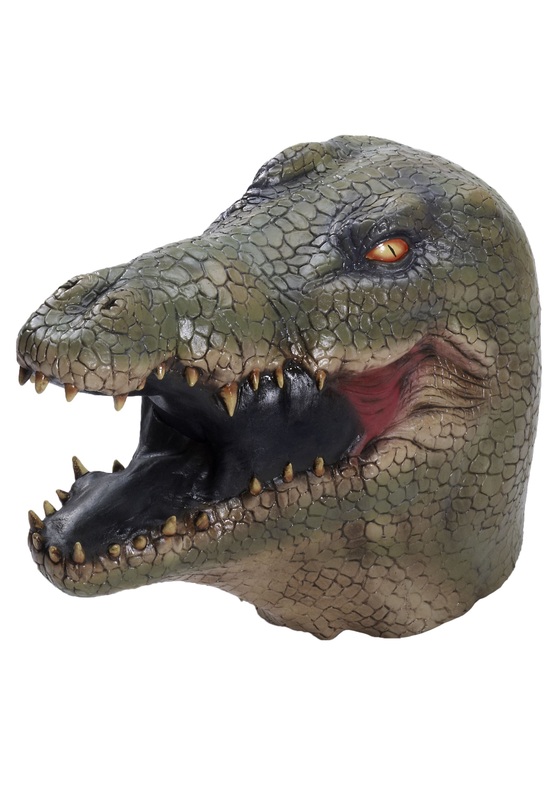 This Halloween you can be as fearsome as those ancient reptiles with this Deluxe Alligator Latex Mask. You can bellow. You can hiss. You can be lazy, then surprisingly quick. All those things that make us afraid of alligators. Although, they've had approximately 37 million years to become as frightening as they are. While you only have until Halloween to prefect your bellow, and hiss.